I've always considered slip stitch a way to join edges or rounds or to add surface embellishment and hadn't experimented with it as a fabric. 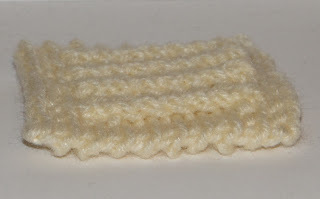 Small swatches made in acrylic yarns make good dish scrubbies when experimenting. 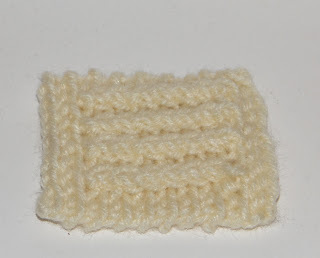 All slip stitches are worked into the back loop of the stitch. Double crochet (DC) are worked in both loops on the first row with dcs, and then around the post on the rest of the rows. Row 1: From 2nd chain on hook, slip stitch in back loop of each chain across. 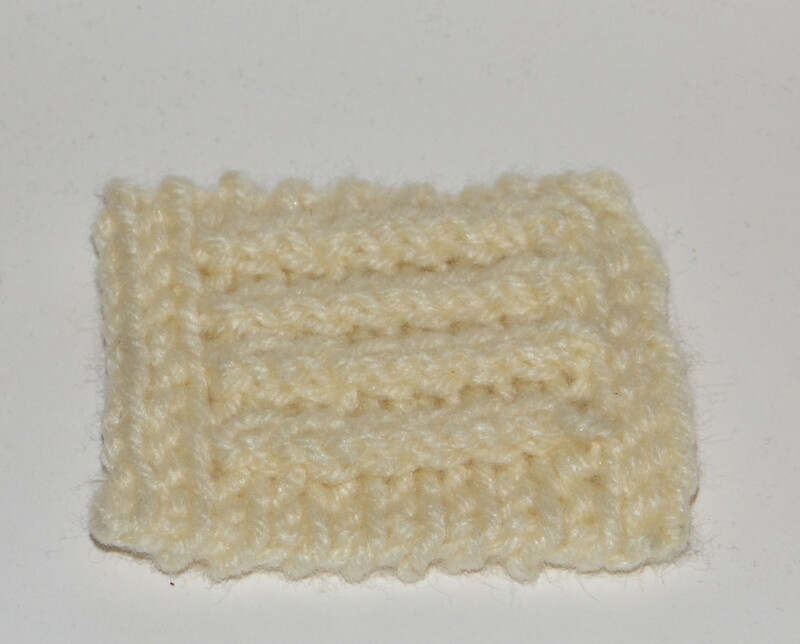 Row 4: Ch 1 to turn, slip stitch in back loop of each stitch across. Row 5: Ch 1 to turn, slip stitch in back loop of first 2 stitches, DC around the first DC of row 3 (yarn over, insert hook under the post of the DC, yarn over, pull out from under the post, yarn over, pull through 2 loops on hook, yarn over, pull through last two loops on hook), slip stitch in back loop of next stitch, DC around post of DC, slip stitch in back loop of next stitch, DC around post of DC, slip stitch in back loop of next stitch, DC around post of DC, slip stitch in back loop of next two stitches. I really like the slip stitch fabric. The DCs pop off the surface really well and the fabric is pretty sturdy even though it's worked in the back loops.It does have some stretch, but not much.